Sport is an emotional roller-coaster, and for no Formula One team this season has this been truer than for Haas. The 2018 preseason was a story of praise for the quasi-American team in its third year of competition. 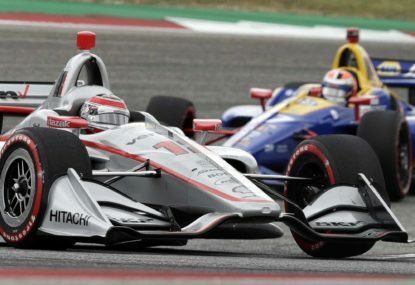 Haas, Formula One’s only (quasi) American team has satisfied all the major criteria in its formative seasons – chief among them staving off financial collapse, the downfall of so many a fledgling Formula One outfit – to establish itself as a points-scoring midfield competitor. Indeed the team scored points on debut in 2016 and ended the year with 29 points. More impressive still was that is improved its points haul to 47 in 2017. 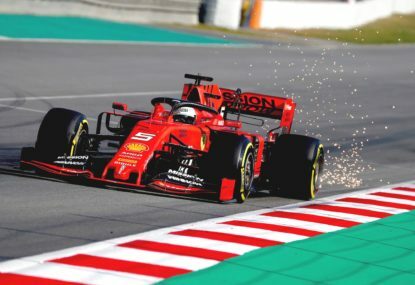 Expectations were for continued growth this season, and it raised the stakes in preseason testing, where its best lap time was 1.2 seconds off the pace on a tyre theoretically 1.3 seconds slower than the that used for the benchmark time. 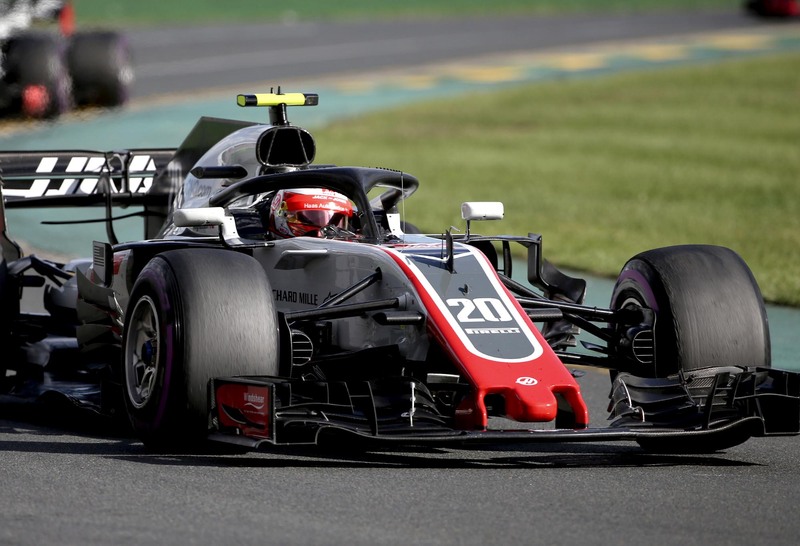 Hype continued to crescendo at the Australian Grand Prix on Friday and Saturday, culminating in sixth and seventh on the grid for Kevin Magnussen and Romain Grosjean. But what goes up on the Formula One roller-coaster must come down. Pit stop errors struck out both cars while they were running in high points-paying places, sending the team home with a devastating double-DNF. Despite the result, it was clear Haas had the fastest car of the midfield – faster than cashed-up Renault, quicker than McLaren and pacier than last year’s fourth-place-getter, Force India – so much so that it raised the eyebrows of some rivals. 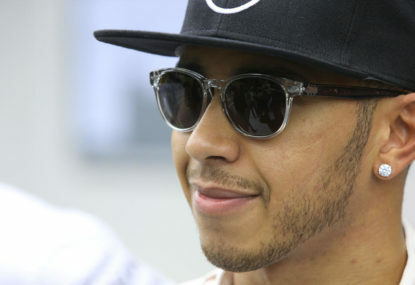 But in Bahrain the car’s pace translated into a lukewarm overall result. Magnussen equalled the team’s best result with fifth while Grosjean had his weekend compromised by a qualifying problem and having bits of his car fall off in the race. China was similarly underwhelming, with a Q3 berth translating into a single point. 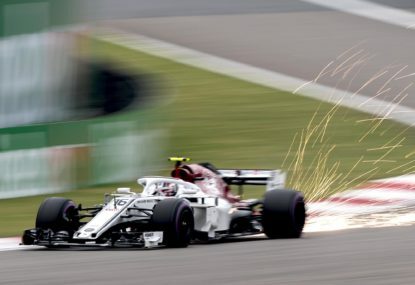 Haas failed to reach Q3 with either driver for the first time in Azerbaijan, but late in the race Grosjean found himself duelling with Sergio Perez for what turned into a podium place – until he crashed behind the safety car. Magnussen fared no better, miring himself fin controversy to finish a penalised 13th. Did the team bounce back in Spain? Yes and no. Both drivers qualified in the top 10, but while Magnussen finished sixth, Grosjean threw away a strong start with a stupid crash at turn three, knocking two other drivers out of the race with him and risking a far more serious accident. The culmination of Haas’s five wildly unpredictable races is that despite having the fourth fastest car at all events bar Azerbaijan, the team sits sixth in the constructors with just 19 points, less than half the 41 points scored by fourth-placed Renault and the 40 points earnt by McLaren in fifth. 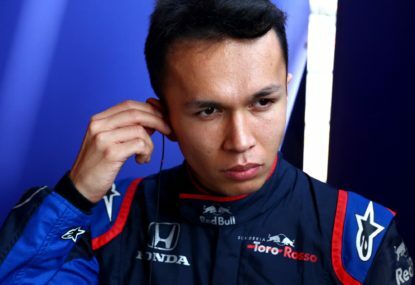 Gone begging is a theoretical maximum of 41 additional points – the team lost 22 points for fourth and fifth in Australia, at least a point in Bahrain for tenth, 12 points in Azerbaijan for fourth and six points in Spain has Grosjean finished behind Magnussen in seventh. It’s difficult to think of a team that has raced such a good car so badly. And make no mistake that this is a team effort: while some of Haas’s highest profile dropped scores have come about through driver error, especially Romain Grosjean’s mistakes in the previous two rounds, pit stop errors and spontaneously disassembling bodywork have all played their part. Striking was team principal Gunther Steiner’s summary after the particularly painful Azerbaijan Grand Prix, the team’s second non-scoring round of the season. “At the moment we cannot get it together, get everything to gel,” he said. “We just need to get it all together in one race. “We are still only in our third year and that’s just reality. We are sharp, but [we need] to tie it all together. Haas has the car to play with the big boys of the midfield – Magnussen’s almost untouchable sixth-place finish in Spain reaffirmed its claim to the fourth-quickest machine – but it doesn’t yet have the racing nous. While its rivals lamented that it bought a great deal of design knowledge from Ferrari and Dallara, what can’t be bought is the years, even decades, of racing experience as a team. 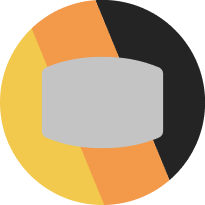 That long-term expertise that refines processes and practices that comprise the final percentages performance is what Renault and McLaren, 37 and 52 years in Formula One respectively, have over Haas. It’s the sort of thing only time can deliver. “We just need to get, once, everything in the bag together. Then we will shine,” said Steiner. It’s all part of the Formula One learning curve. 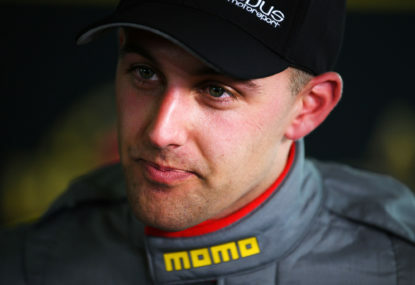 Michael is one-third of F1 podcast Box of Neutrals, as heard weekly on ABC Grandstand Digital nationwide. Though he's been part of the F1's travelling press room since 2012, people seem to be more interested in the time he was sick in a kart - but don't ask about that. Qualifying is one of the most universally popular parts of a grand prix weekend, so it’s surprising that the competitive Saturday session is regularly considered for change as the sport strives for self-improvement.